Mission43 is focused on the four pillars of education, employment, purpose, and connection. Under each pillar is one incredible organization, and together they form a community of opportunity that can help our currently serving military, veterans, and military spouses succeed in Idaho. This may come in the form of our speaker-panel events where we sit down with people who have accomplished incredible things because of the influence the military has had in their lives. Past guests include Josh Cleghorn and Butch Whiting, co-founders of Idaho-based Kryptek Outdoor Group. In a few short years after flying Apaches together in Iraq, they turned their hunting clothing line into one of the top brands on the market. 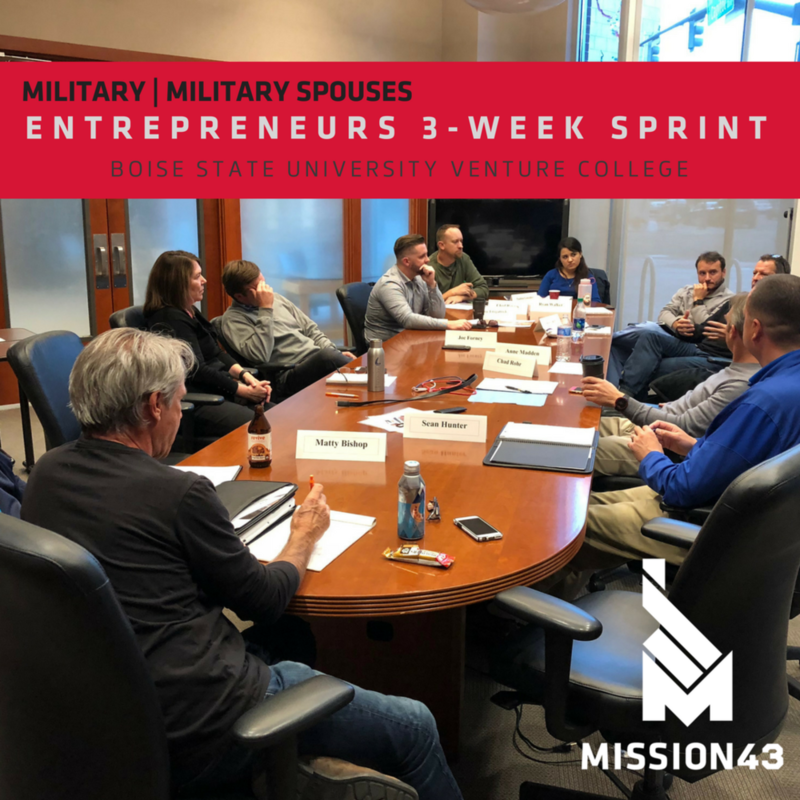 If you have a business or non-profit idea, you can pursue this with our entrepreneurial programs through our partnership with the Boise State University Venture College. We run a four-session “sprint” that teaches you the principles of the Lean Startup Methodology. You can then continue on with a $1,000 scholarship to the full semester Mission43 Garage program. The Garage goes “under the hood” of your business over 13-weeks with full access to the Venture College staff and resources. Quickly integrate and get to know those in the community including our Mission43 civilian supporters, who believe there is so much more to accomplish after the military. We do this through our monthly Happy Hours around the state. They are low drama events, just good people, and a great way to make a difference in someone else’s future. You never know who you will meet! Time and again we hear from our members they want to volunteer and give back. Now we have an answer. 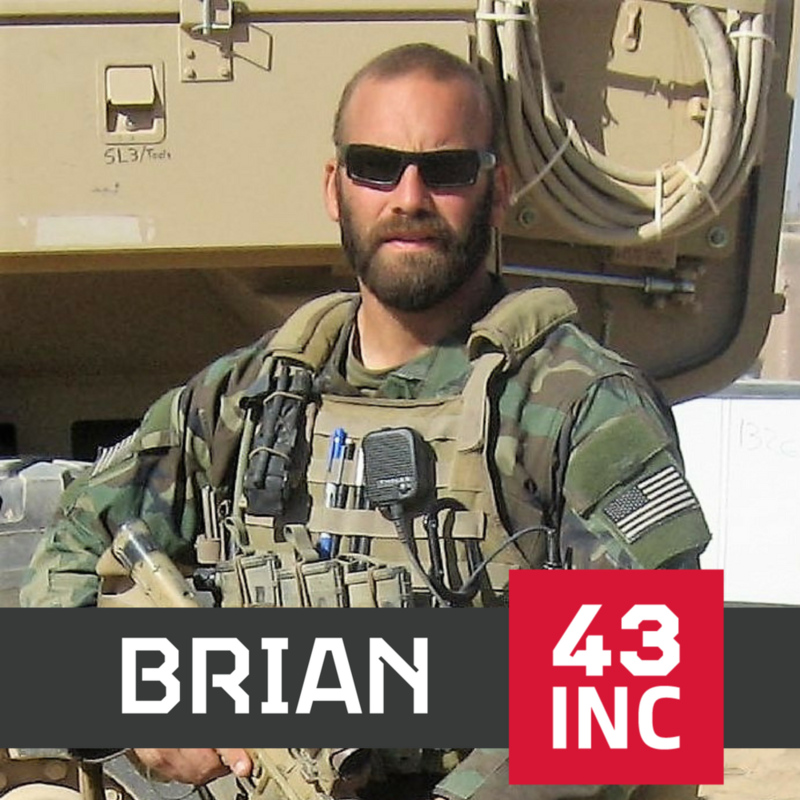 43INC will help organize and connect to those opportunities around the state. In the past we have done this through events such as helping to remove the holiday wreaths placed in the Idaho State Veterans Cemetery, or by creating the most lively and memorable water station along the St. Luke’s FitOne Half-Marathon course. These volunteer opportunities are also one of the best ways to bring the kids out and include them in M43 activities. We have also connected to the community through our September 11th Moving Tribute. Last year, we passed one flag from member to member over 40 miles through the Treasure Valley. 9.11.2001 has faded from too many Americans’ memories, and for some it is new. But, through the Moving Tribute, thousands of people across the Treasure Valley witnessed an honorable way to remember that day. All of that said, 43INC is a big step forward for Mission43 in 2018! We are incredibly excited to expand and set the conditions for our members to Innovate + Network + Connect. Keep an eye on our events page for upcoming opportunities to get involved and we hope to see you out there! Hire Heroes USA hosted a one-day workshop focused on federal employment. They have a special team that is entirely dedicated to helping veterans and military spouses obtain federal jobs and they flew into Boise to provide their expertise. Even if you missed the workshop, you can still tap into these resources. Connect with Hire Heroes USA today! 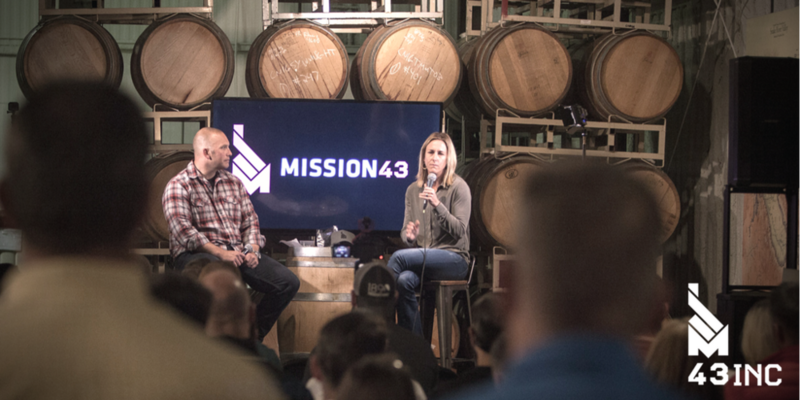 On October 12th we sat down with three-time Olympic gold medalist, Kristin Armstrong, for our newest installment of Mission43 INC. The military played a big role in her life as she moved around the world in a USMC family, and then even though she didn’t start cycling until later in life, it didn’t stop her from standing at the top of the podium at all levels of cycling. 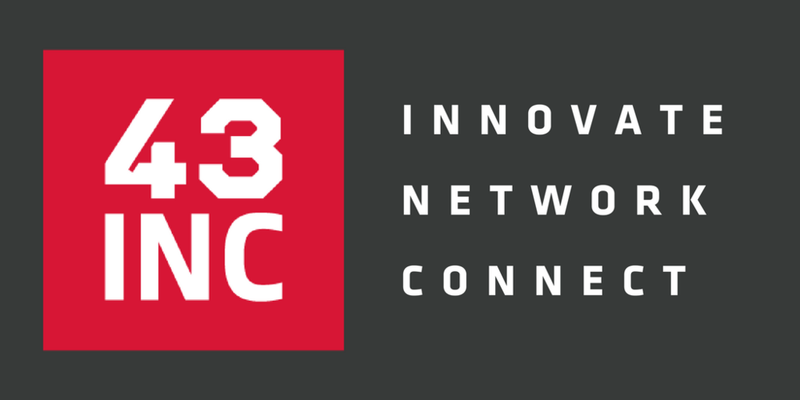 This 43INC didn’t disappoint and provided great opportunities to Innovate + Network + Connect! Read our three take-aways from Kristin Armstrong in our 43INC blog. Finally, we are excited to announce that our Welcome Kits started shipping. The Welcome Kit includes the very popular trucker hat, M43 camo tumbler (great for keeping your coffee warm or beer cold), and then some stickers so you can slap one on your gear and take the road less traveled! How do you get one you ask? Expect an email very soon that gives all Mission43 military and military spouses the opportunity to take our survey, and then we will ship this to you for FREE! NOVEMBER 6 Hire Heroes USA is conducting a military spouses only one-day employment workshop. 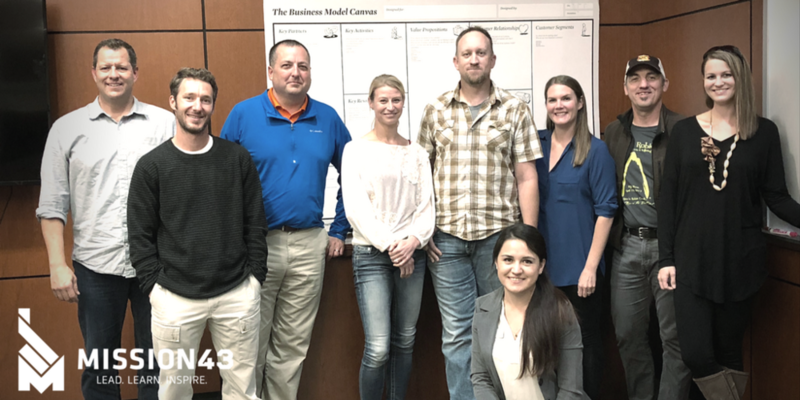 All Mission43 pillar programs are equally created for military spouses and this is a great example how organizations like Hire Heroes USA show the importance of making sure military spouses successfully transition into our community. REGISTER TODAY! NOVEMBER 11 Veteran’s Day approaches and Team Red, White, and Blue will be hosting their annual Wod for Warriors at Crossfit Fireside. Come take part in a Crossfit-style workout (for all fitness levels) at an incredible Veteran Owned gym. NOVEMBER 21 We will also be having our monthly 43INC Happy Hour at Telaya Winery. They have been gracious enough to let Mission43 be part of their #SIP2GIVE charity program where 10% of all proceeds for the day go towards a different charity each month. With Veteran’s Day in November we were selected for our work in making Idaho a place for families to thrive after the military. Join us as we create the environment for you to Innovate + Network + Connect, then it is up to you to succeed. UPCOMING We will be hosting a 43INC VIP tent at this year's Famous Idaho Potato Bowl. Join us December 22nd at Albertson's Stadium for food, drink, and great people to Innovate + Network + Connect with! Details coming soon. We have sat down with some incredible guests at Mission43 INC. Josh Cleghorn and Butch Whiting are the co-founders of the Eagle, Idaho based Kryptek Outdoor Group. Brian Stann is the recipient of the Silver Star, fought in the UFC, and is the former CEO of Hire Heroes USA. The Nunez sisters have turned military surplus gear into a highly respected fashion brand with their company, Sword & Plough. Now, we have had the opportunity to hear from the most decorated U.S. women’s cyclist of all time and hear first hand about what it takes to be the best in the world. Incredibly, a lot of these attributes were developed growing up and moving around the world in a USMC family. Kristin Armstrong is the only female U.S. athlete to win the same individual event (time trial) in three consecutive Olympic Games, taking home the Gold in Beijing 2008, London 2012, and Rio 2016. She is a two-time World Champion and has won six U.S. National Championships. Now, she is the Endurance Performance Director at USA Cycling and more importantly we are so fortunate to have this incredible mom, wife, and leader call Idaho her home. Prior to Kristin’s third Olympic Games, forces came together to prevent her from heading to Rio. They argued she was too old, she was injured, her time was up. She fought back because she knew they were wrong and she didn’t have an unrealistic belief in her capabilities. Less than a month later, Kristin delivered by winning gold for the USA in the 2016 Rio Olympics. Nothing speaks louder than your performance. Kristin had to dig deep inside to decide who she was going to be after winning her third gold medal. Much like departing the military, this was a major transition period in her life. In fact, just days after winning Olympic gold in Rio, and while the Games were still on, Kristin was back in Boise shopping at Target to buy school supplies for her son (not basking in the glory of Olympic village!). Instead, she found closure with her accomplishments and promised herself she would wake up everyday and enjoy this new chapter in life. More importantly, her new mission is to move the dial in other people's lives and help others become champions. "Look at the positives. You get to transition, instead of having to transition." When Kristin’s father retired from the USMC and transitioned to his new civilian career, she recalled his willingness to accept a position that he was overqualified to hold. However, he knew he would provide so much value that this would only be a short stop while he earned credibility and rapidly rose in the organization. He sacrificed up front because he trusted in himself to succeed. The time we spent with Kristin Armstrong is a big deal and Mission43 is extremely grateful to be able to connect our members with such an incredible person in the community. Check out the pictures from the evening and keep an eye out for our next big event! On Saturday, July 15th the Mission43 team hosted a VIP tent at this year's Boise Twilight Criterium. 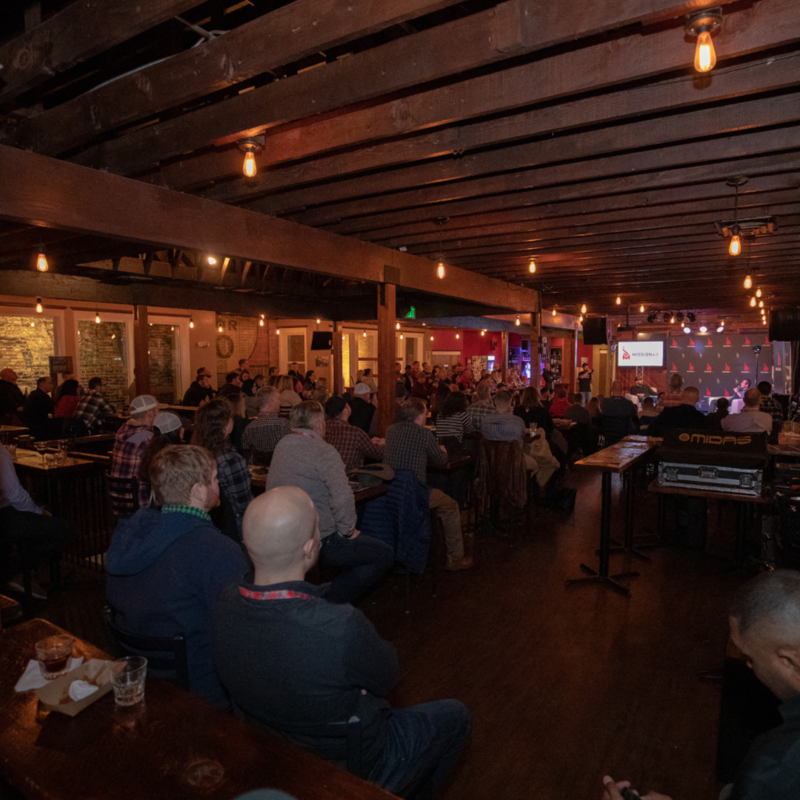 This event is one of those you just have to see, and we loved the opportunity to host our M43 friends and families to be part of it. The Criterium is a day full of bike races through the streets of downtown with a fan expo area featuring local food and drink. We had over 150 guests, including families, supporters, and employers who are all involved making Idaho an incredible place to be after the military. To cap off this great day, our partner, Team Twenty20, pulled off the win in the women's pro race. Our tent was in the perfect location to cheer them across the finish line. This incredible group of women hung out at the Mission43 tent after their victory, signed autographs, and talked about their experiences. Thanks to all who joined us. It was great to see the many new faces and we hope new connections were made while you enjoyed the Criterium. Keep an eye out for next year. We may be out there again! Emily Núñez Cavness and Betsy Núñez, entrepreneurs who excel at using their military experience as business owners, shared incredible lessons they learned on their journey to create Sword & Plough. In 2013, they took a concept and turned it into a reality. They truly live by their company motto, "Repurposed for a Purpose," by taking surplus military materials and turning them into stylish handbags and accessories. 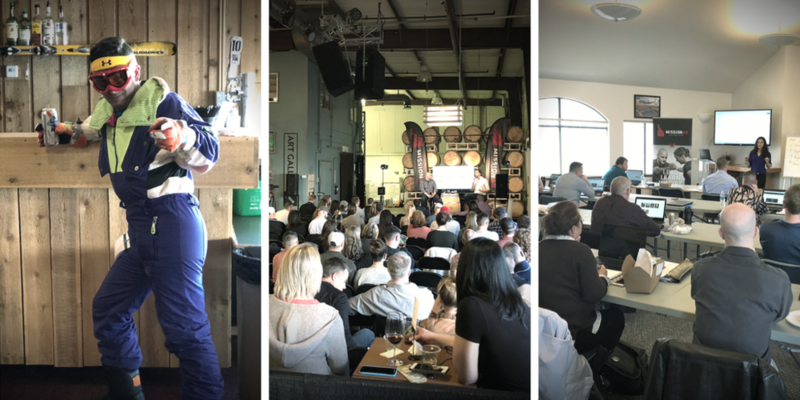 The Mission43 team was honored to bring Emily and Betsy to Boise and enjoy an evening with them at our June Mission43 INC (Innovate + Network + Connect) event. They raised $20,000 on Kickstarter in 2 hours, which was their 30-day goal. This didn't happen overnight, a year of planning went into the launch. Plan, prepare, and execute! Betsy wished she learned more about supply chain management in school. She had to become an expert in acquiring thousands of yards of leather for their products just as Emily had started a 7-month Afghanistan deployment. Innovate and be persistent to get the results you need! They sought out mentors and used free online resources to educate themselves on running their business. The resources are out there, but you need to go to them vs. thinking they will come to you!